We have comp info on two recent Bay Area two multifamily property sales totaling $19.88 mil. 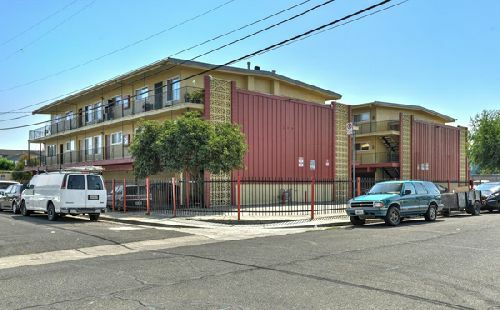 The deals, which include a 33-unit apartment community in Redwood City and a 25-unit apartment community in Mountain View, were both brokered by Adam Levin, Robert Johnston and Eymon Binesh with Levin Johnston, of Marcus and Millichap. In one transaction, Redwood Apartments, a 33-unit multifamily community located at 200 Dumbarton Ave in Redwood City, sold for $10 mil, or $303k/unit. Originally constructed in 1964, Redwood Apartments features one- and two-bedroom apartments, on-site laundry, covered carport parking and secured gated entry. Redwood Apartments offers renters close proximity to the nation’s top tech employers including Google, Oracle, Facebook, Visa, Sony and many others. In addition, Stanford University is constructing its first major satellite campus in Redwood City. The other transaction was for a 25-unit apartment community in Mountain View, which sold for $9.88 mil ($395k/unit). The property is located on just under one acre at 620 Alamo Ct, within minutes from many distinguished universities including Stanford University, Santa Clara University and Menlo College. As part of the Silicon Valley, the property is in close proximity to high-tech companies such as Google, Adobe, Apple, Yahoo and Facebook, among others. Alamo Park offers tenants one- and two-bedroom units, a secluded central courtyard, swimming pool and on-site laundry.